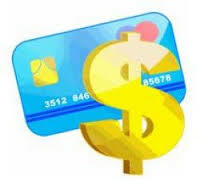 others get travel rewardss or airmiles while the latest craze is ‘cash-back’ credit card. Each has a preference and every card has certain advantages, but personally, I use the “Signature RBC Rewards Visa” . It has an excellent rewards program where you earn 1 RBC rewards point for every dollar spent. Basically, for every 12,000 points accumulated, you can convert them to get $100 in RRSP money (or TFSA, mortgage credit voucher etc.) Which means that for every $100 you spend on the card, you are getting just around $1 back (0.89 to be exact) . This conversion rate may not be as some other cards out there, but the rewards are worth it. But here is where it gets interesting: using this card in conjunction with an ESSO gas card, you can accelerate your points accumulation. How? ESSO lets you convert your ESSO points to RBC rewards points. You get 1500 RBC points for every 2500 ESSO points. So when I fill up gas, I pay witth my Signature RBC Rewards Visa card to get RBC points, as well as swipe my ESSO card to get ESSO points (which get converted back to RBC points) . So essentially, the money I use to fill up gas for my car, all comes back to me-through points-in the form of RRSP money, which I save for retirement of course. Based on my current annual credit card and gas spending, I have been able to earn an average of $300 in RRSP savings every year. And for someone who drives more, uses their credit card more often, they can save even more.